Jersey – The Crown’s Heart of Darkness. 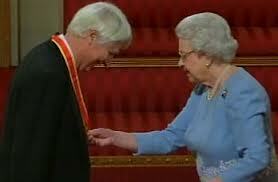 And the implications for the other holders of the Queen’s “Letters Patent”. When I decided to write this posting, my plan was to take a quick look at the suspension of the head of Jersey’s Anglican Church – the Dean, Robert Key – by his superiors in the Church of England. I knew the instant I heard of the suspension that it amounted to a profoundly serious crisis for Jersey’s established, entrenched oligarchy – and their support-apparatus in London. But the more I thought and wrote in explanation of just why that is so, the more obvious it became that a real understanding could only be arrived at, not by regarding the suspension of the Dean as the main issue, but rather by recognising that the suspension of the Dean is an incidental occurrence – not the core, underlying sub-text – not the main event. Why should that be so? Ok, firstly let’s cut straight to the chase. 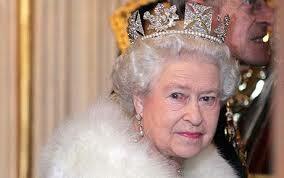 The Dean is appointed to the post by Letters Patent issued personally by the monarch. But he has been suspended by having his commission withdrawn by the Church of England. The Crown – in the person of the monarch – has to make a decision – and quickly – to suspend the Letters Patent of the dean. Any failure to do that – the continuing deafening silence – amounts to a direct expression of support for the safeguarding failures, breakdown in the protection of the weak, and structural non-accountability of all public authority that is so clearly on display in Jersey. A continuing failure of the Crown to publicly – and quickly – suspend the Dean’s Letters Patent, thus nipping-in-the-bud the crazed dichotomy we see developing at the moment, whereby the Dean is suspended by the Church, but not by the Crown – amounts to a direct assault upon, and undermining of, Church of England authority – by the Crown. And in this context – that would be a very, very poor position for the Crown to take – given the Church of England and the Diocese of Winchester is – so far – the only established hierarchy and authority to have acted properly and ethically, and to have brought to bear some form of accountability to Jersey’s grotesque catalogue of the abuse of the powerless and vulnerable. The febrile panic amongst the Jersey oligarchy – one which sees lawyers being employed to defend the Dean and argue his seniors in the Church can’t suspend him – is because the Jersey oligarchs see – rightly – that this is not about the Dean. This is about the Crown – holding its appointees in Jersey – to account. Or, more pertinently, the usual gross failure of the Crown to hold its appointees to account in the island. The actions of the Church of England have dramatic implications for that customary defective Crown approach. So whilst this is a constitutional crisis for the Jersey oligarchy – it is an altogether more serious issue for the British Crown. The head of the Anglican Church in the island, the Dean, Robert Key, is one of six direct Crown appointees in Jersey – the others being the Solicitor General, Attorney General, Deputy Bailiff, Bailiff, and the Lieutenant Governor. The mechanism by which the monarch, personally, appoints those post-holders is through the issuing of Letters Patent; effectively a kind of franchise that gives the Office-holder licence to go and do largely as they please, in exchange for services to the Crown, empowered and protected by the Crown syndicate. It is an ancient form of power – feudalism. However, a more precise – and historically relevant – understanding of Jersey’s continuous feudalism under the British Crown is to be had by recognising that today’s holders of the monarch’s Letters Patent in Jersey are a 21st century continuation of “Privateers” – state-approved raiders – pirates, essentially, who were given the authority of the Crown to seize from ships of enemy countries goods and wealth from which the privateers would pay an amount to the Crown and keep a cut for themselves. This was actually called “prize-money” in centuries gone by. Privateering by Jersey-based holders of Letters Patent or Letters of Marque issued by the British monarch goes back centuries. To this day, the power and protection given to the chosen holders of the monarch’s Letters Patent in Jersey is unassailable. No matter that their conduct be inadequate, personally defective, ultra vires or even overtly criminal – provided they remain pleasing to the Crown and the Crown’s interests – they are protected from any meaningful scrutiny, challenge or accountability. The Crown giveth – and only the Crown can taketh away. Whilst Jersey is superficially disguised as a post-enlightenment democracy – in truth the British Crown has played a cunning hand over the centuries with the Crown Dependences of the Channel Islands. We look at Britain, and we see the Crown as largely an a-political, symbolic entity, subservient to democracy. But in Jersey the Crown has craftily succeeded – in truth unnoticed by the public and political commentators alike – in retaining its unaccountable feudal power. What passes for “democracy” and “justice” in Jersey is only tolerated insofar as it serves the function of fulfilling a fluffy, cosmetic PR function; that of conferring “respectability” upon the place. Real power – Crown power – as exercised by the monarch via the holders of her personal Letters Patent such as Attorney General, Bailiff, and Lieutenant Governor – is not only permitted to, but is facilitated to, crush any challenge or scrutiny to their fiat. Even if that involves the plain abuse of authority, political suppression and undisguised criminal acts. 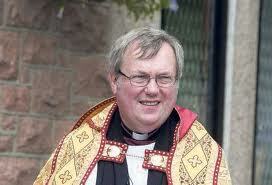 But the Dean has been suspended from his commission by his seniors in the Church of England. Robert Key is subject of a damming report concerning his personal leadership failure in respect of complaints concerning the sexual abuse of women – and one disabled and profoundly vulnerable young woman in particular. Essentially, Robert Key – and his allies and fellow-travellers in the Jersey Church of England hierarchy – reflected precisely the same attitude to vulnerable victims of abuse, as that repeatedly exhibited by Jersey’s executive, legislature, civil service, prosecution system and judiciary – namely, regard the victims and their suffering and their complaints as an inconvenient threat to the self-protecting wealthy “networks” that conceal 95% of the significant malfeasances by the powerful in the island. Victims of such crimes are always regarded as a threat to the cosy, comfortable lucrative status-quo of the Jersey oligarchy – a threat to the all-important, but fake “image” of the island as a place of safety and of good-governance. I know from the personal experience – of having to stand alone against the full, corrupted, self-protecting might of the Jersey oligarchy as the sole public figure speaking out against decades of child-abuse – that the Dean Robert Key is personally inadequate, weak, a-moral and a coward. I first spoke-out about the child-protection failures in July 2007, when answering a question in the Jersey parliament where Robert Key has a seat as the Dean. In the coming weeks and months I was subjected to a firestorm of hatred, obstruction and oppression. Key did and said nothing to support me – and more significantly, in acting in that way, did nothing to help the victims I was seeking to help or the vulnerable children I was seeking to protect. Although – by the time I wrote that posting – I wasn’t especially surprised any more at the conduct of the Anglican Church hierarchy in Jersey. I had learnt from victims that a former Vice-dean of the island – Peter Manton – had raped little girls. It also emerged that Manton was a closet-Nazi. But that’s the local oligarchy for you. It isn’t surprising that the Jersey claque of “great & good” Anglicans should now be rabidly campaigning to have Key re-instated – notwithstanding the dreadful – and avoidable – suffering of the young woman concerned. This is, after all, the same set of people who split from UK Christian Aid – because that charity was foolish enough to express concerns about the poverty induced in developing countries by the tax-evasion facilitated by off-shore centres. However – the present actions of the Diocese of Winchester and the Church of England at national level reflect what I would expect of any responsible, decent organisation, especially one guided by Christian ethics. As I said – so far, the Church of England is noticeable for being the only public authority and hierarchy to adopt a proper and searching approach to questions of safeguarding-failures in Jersey. 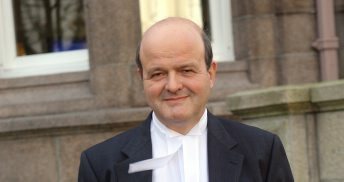 But why should the suspension of the Dean, Robert Key – a man with an extant public record of odious moral cowardice in respect of the failure to speak-out on child-abuse – be especially surprising or remarkable, and represent some kind of “constitutional-crisis” for the Jersey establishment and their protectors in London? In some ways, the answer to that question is obvious and easy – but in other ways – and to really understand a centuries old constitutional anachronism, a fuller consideration is required. But first – the plain and easy explanation. The Dean has an un-elected seat in the Jersey parliament, ‘the States’. He is appointed to that Office by the Queen – via the issuing, crucially, of “Letters Patent” – a kind of arcane legislation that the monarch remains able to pass into effect without the consent of, or reference to, parliament. But the Dean has had his commission as a priest – the central function of being Dean – removed by the Diocese of Winchester. This is a crisis for the local oligarchy – because one of their loyal soldiers and lynch-pins has been removed by external intervention – the one thing they live in terror of: objective accountability. The Jersey oligarchy has long-since captured every instrument of power in the island. They are the media, legislature, executive, police, prosecution system and judiciary. They are not subject to as much as one single effective check & balance. The one and only conceivable threat to the local elite’s racket is external intervention. But the real crisis is for the Crown – which now has to decide whether to back the plainly very serious and well-founded investigation by the Diocese of Winchester – and suspend the Letters Patent it granted to the Dean – or fail to do so, leaving the Letters Patent in place and causing an un-disguisable head-on collision between the authority of the Church, and the authority of the Crown. On the face of it, any reasonable person in the modern age would find the very idea that that the Crown would do anything other than issue immediate confirmation of, and support for, the Church decision – to be so utterly implausible as to not be worth considering. Ah – but to leap to that view is to fail to understand the true nature of just what Jersey is – what it is to the Crown – what it is to the British state – and the extraordinary “licence” and “franchise” given to the island’s entrenched elites over the centuries by successive monarchs. So let’s take a look at the older – fuller – picture. But before we do so, bear in mind the very core of the present crisis – which is this: The Church of England has shown proper diligence and displayed appropriate standards of governance in so thoroughly investigating and then suspending – its agent, the Dean. But yet – there are numerous – and far worse charges to answer – misfeasances of an even worse nature – against the other holders of Letters Patent who also sit in the Jersey parliament – the Solicitor General, Attorney General, Deputy Bailiff and Bailiff. All of who appear to have free-licence to act unethically, grossly oppressively and unlawfully – and none of who are ever investigated effectively – notwithstanding frequent, evidenced complaints to the Crown and its agents in London. So you see what the Church has done here? By adopting good, modern, transparent standards of accountably and governance – by investigating properly – it has cast into shame and embarrassment the Crown – by way of invidious contrast. Hence the naked panic and fear shown by the Jersey oligarchy. Because if the Dean is held to these standards – and subject to effective investigatory procedures – then why not the Attorney Generals and Bailiffs? You see, there’s a big, big problem for the Crown here – in that numerous – very serious complaints have been submitted to the authorities in London, concerning the conduct of the Crown Officers and the discharge of their Crown powers in Jersey – but unlike the complaint to the Church of England, the many complaints to the Crown over the years have been treated with utter contempt. Does the Crown have lower standards than the Diocese of Winchester? Of course, the Jersey oligarchs not being entirely stupid, have recognised immediately that the actions of the Church of England have provided the ordinary people of the island with a yard-stick – a standard of appropriate external scrutiny and intervention upon the externally appointed holders of Letters Patent – that the Crown must now be – and is going to be – held to. And well they might be. After all, appropriate standards of expected conduct from the Dean – are also appropriate standards of expected conduct from the Crown’s Attorney Generals and judges. The Church of England and the Diocese of Winchester are to be commended for taking the complaint seriously, and for undertaking a methodologically credible investigation. The contrast with the conduct of the Crown is truly remarkable. For example, in 2008 I wrote a serious, very detailed and evidenced report to the authorities in London on systemic child-protection failures. The report concerned the structural ultra vires of the Crown prosecution function and Crown judicial system in Jersey, and, in particular, the plain conflicts of interest and misfeasances of successive holders of her Majesty’s Letters Patent, such as the Attorney Generals. What responsible and credible steps did the Crown take to investigate that matter? Did it – like the Church of England – commission an independent and thorough investigation? I paraphrase – but that was the essence of it.And that was that. That was the sum total of investigative and regulatory “due diligence” exhibited by the Crown in respect of the conduct of the holders of Her Majesty’s Letters Patent in Jersey.As I said, I paraphrase – but that was the Crown’s response to gross, systemic – and evidenced – child-protection and safeguarding failures in the island. But why? Why should the Crown empower – and then so protect – an accretion of hick-town grifters on a rock in the English Channel? People trying to describe Jersey’s status to those in the real world often struggle. This tiny island in the English Channel is British, but not a part of the United Kingdom; we use UK currency, but issue our own notes; we make our own laws, but largely copy & paste them from English legislation; we like to appear internationally “respectable”, and are allowed to sign-up to international conventions via the UK; we don’t answer to the UK government, but do answer to the UK monarch. Well, in respect of that last point – that at least is the theory and practice – or so the UK monarch and her agents purport. Jersey has been this “protectorate” – a kind of peculiar “possession” – of the British monarchy since the days of the Norman kings following 1066. And very useful, convenient and mutually fruitful that relationship between successive British monarchs and Jersey’s indigenous robber-barons and pirates has been over the centuries. Power in London – power in Jersey – it’s always suited both of those factions very well indeed to maintain the opaqueness, absence of codification, and labyrinthine obscurity of the constitutional “relationship” between the throne and this small rocky quasi-jurisdiction. But for all that there has been that historic vagueness, on the surface at least, the Jersey establishment figures are appointed by – are given authority – and power – by the monarch. You would think, therefore, it would be an uncontroversial matter if any question arose concerning the competency or probity of any holders of her Majesty’s Letters Patent in Jersey; any modern authority properly monitors and investigates its agents – not least because of the vicarious liability carried in law. But when any such question arises – a brazen fiction is peddled – by both sides – the Jersey oligarchy – and its protectors in London. The Jersey Crown Officers, either directly or through various mouthpieces such as the Jersey Evening Post, depict the prospect of external scrutiny or intervention by London as though it were some kind of unjustified, baseless, colonial assault by a foreign power. And the Crown’s agents in London, too, like very much to falsely peddle a similar line: “it’s nothing to do with us; it’s an internal matter for the Jersey authorities.” But this is such startlingly obvious nonsense – such an overt lie by the Crown – that impartial external observers don’t take it seriously for even one instant. The Jersey Crown Officers – the Attorney Generals, Deputy Bailiffs and Bailiffs – depend entirely – entirely – for their authority, status and power – upon the Crown. The Offices they hold are created and conferred by the monarch – and are directly empowered by the issuing of her personal Letters Patent. In fact – as is quite plain – so beholden – in every way – are the Jersey Crown Officers to the Crown and its Letters Patent – that they are actually not, in fact, susceptible to any form of scrutiny, oversight, investigation or discipline – at all – from any person or entity in Jersey. So there is something rotten in the quasi-state of Jersey. Its local oligarchs – and their licenser in London – want to have it both ways. The local oligarchs want the name, the credibility, the authority – and the protection – of the Crown; they want that absolute and unassailable power – by which they can oppress, abuse and fail the locals, without scrutiny or challenge – under the all-powerful Letters Patent issued to them by the monarch. But then they – and the monarch – are quick enough to claim the Jersey oligarchs are “independent” of London – and that their failures, misfeasances and corruptions are matters for the locals. Well, it can’t be both ways, can it? And, indeed – it obviously isn’t. In 1992 a then Crown Officer, and holder of her Majesty’s Letters Patent – Deputy Bailiff Vernon Tomes – was stripped of Office by London – for alleged judicial failures. So if the Crown could act in that case – why not now? Why not – in respect of Michael Birt, Tim Le Cocq or William Bailhache – against each of whom far more serious complaints lay than were ever put against Tomes? For example, prima facie cases of misconduct in a public office, and of various conspiracies to pervert justice. Let’s just quickly consider one example, her Majesty’s Privateer William Bailhache. A figure of no-less power than the then Jersey Attorney General – the sole prosecuting authority in the island – a post exclusively empowered by her Majesty’s personal Letters Patent – was known to be associating with child-abuse suspects. We also know that Bailhache made a grossly illegal attempt to coerce the Police Chief Graham Power into dropping an investigation into planning corruption in the heart of government. We can be very confident that that occurred – because a witness of no-less calibre than the former Police Chief himself has said so. These are apocalyptic charges. Far more serious – dramatically so – than the still serious case against the suspended Dean. If left unchallenged (as they have been) they destroy William Bailhache. More importantly – they undermine the credibility of the Office of Jersey Attorney General – and, in particular, strike at the very heart of the vires – and integrity – of the monarch’s Letters Patent. But the Dean is suspended – and back in 1992, the Deputy Bailiff Vernon Tomes was removed from Office by the Crown. So in some ways, there is no mystery. The Crown could act against misfeasant holders of its Letters Patent in Jersey – and would do just that – without a second’s hesitation – if it wanted to. But it doesn’t want to. Instead – the fogs and vapours of “constitutional law” are wafted about in ever more comical attempts to camouflage the Crown’s plain responsibility – and attendant negligence. But let’s face it, kings, barons, seigneurs, courtiers, judges and lawyers have always preferred, and thrived upon, a flexible obscurity – and the attendant capacity to make-things-up-as-the-circumstances-might-require. And don’t for one instant imagine that the past various intrigues of Crown against other British interests and factions over the centuries – or the passing of the age of routine wars of enrichment by the British monarchy – has led to any historic redundancy on the part of the liminal, legal terra incognita furnished by Jersey. Why, in the post-WWII years, in the age of globalisation, electronic communication, deregulation, tax-avoidance, money-laundering and off-shore finance – the constitutionally inchoate territory of Jersey has come into its very own. It suits British Establishment Power now – more than it ever did. You would have to possess the I.Q of an Enron investor not to understand that no significant transaction – of any kind – takes place in – or is routed through – Jersey’s off-shore finance industry – without the British security services knowing about it. Client confidentiality? Come, come, let’s not be foolish. Knowledge is power. And thus what more powerful knowledge is to be found, other than that – in the famous dictum of the Watergate journalists – of “following the money” – that universal map to corruption and motivation? For it isn’t only a large cohort of wealthy and significant British individuals and UK based businesses that use Jersey – but also a lot of other playas – from all kinds of societies – and from all around the world. And if there’s one thing that unites the British clients, and the global clients of Jersey – it is that they’d all probably greatly prefer that their respective national tax-authorities – and rival factions, and medias, and law-enforcement agencies, and populations – didn’t know about their use of the island’s off-shore finance facilities. That’s an awful lot of “knowledge” – and an awful lot of power – and of influence – to have over a significant range of the world’s elites. Consider the most significant current holder of British Crown approval and status in Jersey – the “Bailiff” – a kind of un-elected Crown interloper upon local democracy and a politicised judicial-fixer. The current Office-holder – exercising unassailable, oppressive – and frankly malfeasant – power granted to him via “Letters Patent” expressly given by the monarch – is Sir Michael Birt. Like all of the characters who come to be Crown Officers in modern Jersey, Birt has a background in what I suppose we must call “law” – which invariably these days means a career-arc largely grounded in, and built upon assisting international clients in global tax-dodging, money-shifting and various assorted types of racketeering. For example, Birt and the law-firm in which he was a senior partner, Ogier, spent much of the 1990s running such operations as “Financial Management Company Ltd” – or “Fimaco” – as it became known in convenient short-hand. Fimaco was set-up in 1990 by Ogier & Le Masurier – “to undertake the business of a financial institution or bank other than the acceptance of deposits” – a wide-ranging brief allowing it to undertake virtually every type of financial activity. The key purpose of Fimaco was to enable Russian bankers – working on behalf of, supposedly, the Russian state – to “shelter” up to $50 billion worth of state assets. That’s an awful lot of money. $50 billion. Of Russian – state – money. And we can be quite, quite certain that it was not handled, transferred and processed without the KGB, MI5, MI6, the FBI and the CIA – and a load of others besides – being very conscious of it. And each having their own “uses” for such knowledge. I suppose – given that Fimaco was set-up on behalf of Paris-based bank, Banque Commerciale pour l’Europe du Nord (Eurobank), one could claim that one didn’t have a “Russian” client. The fact that that Paris-based bank was controlled by Russia’s Central Bank could, we have to suppose, be seen to be some distant and non-relevant detail – of the kind one might forget – or not regard as significant. In an open letter to then President of Russia, Boris Yeltsin, Sergei Dubinin, former head of Russia’s Central Bank, and his deputy, Sergei Aleksashenko, confirmed that cash reserves were transferred to Fimaco between 1993 and 1997. Boris Fyodorov, a former finance minister who claimed to have complained about the use of the funds in 1993 only to get the brush-off from top government officials, offered his view that commissions – which he estimates at “tens of millions of dollars” – were pocketed by cronies of the Russian government. Remarkably enough – or not, Jersey is such a small place after all – another of the Ogier senior partners who established Fimaco – one Julian Clyde-Smith – has also followed Michael Birt into the Queen’s judiciary in Jersey and now sits from time-to-time as a part-time judge. An arrangement that has proven to be splendidly helpful to certain of Advocate Clyde-Smith’s lucrative private-sector clients. And we must presume that the Crown will argue, when the time comes, that it is within the “margin-of-appreciation” that another of Mrs. Windsor’s appointees – empowered by her personal Letters Patent – current Jersey Attorney General Timothy le Cocq – can appear in cases before Judge Julian Clyde-Smith and secure favourable outcomes? For example, throwing out the judicial review application brought by illegally suspended Police Chief Graham Power? I mean, the fact that Le Cocq, too is formerly of Ogiers – and is a good, close personal friend of Clyde-Smith – and of Michael Birt – is just too, too much of a quaint local anachronism for anyone – other than some bloody reprobate anarchist – to object to. Surely? In fact – now I think of it – back in 1999 Julian Clyde-Smith was also a key member of Jersey’s financial services regulatory authority – the Jersey Financial Services Commission. How terribly convenient. Isn’t it marvellous that Jersey’s small scale can enable such quick and efficient sharing and harnessing of relevant skills and experience? Happily – in 1999 when the international controversy of Fimaco erupted – Jersey and her off-shore clients – in this case the population of Russia – were able to enjoy a thorough and knowledgeable investigation by then Attorney General, Michael Birt’s department – and a Financial Services Commission which included Julian Clyde-Smith. With authorities so especially well-placed and experienced when it came to investigating Fimaco, we can be quite sure the clean-bill of health given to the international transaction was based upon the most searching and rigorous of inquiry. Julian Clyde-Smith – Private-sector Advocate, part-time judge, off-shore finance operative, sometime regulator, and colleague and friend of Michael Birt and Tim Le Cocq. Indeed, the island’s off-shore clients and the worlds regulatory systems can be doubly reassured of the highest standards of probity continuing to this day in the Jersey Financial Services Commission, given its most influential figure, Deputy Chairman of the JFSC, is one John Averty – friend and client of Julian Clyde-Smith – and friend and business associate of former Chief Minister Frank Walker. 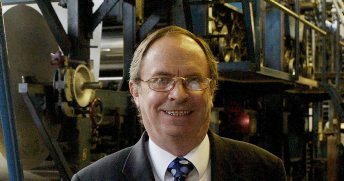 In fact, amongst John Averty’s various relevant skills and experiences is being a former Senator, and being the Chief Executive of the Guiton Group – the company that owns Jersey’s only “newspaper”, the Jersey Evening Post. And although it’s widely known there are one or two serious criticisms of Mr. Averty, we’re assured he has a wide extended family that will rally around – understanding his burdens well. But that exemplary and meticulous investigation of Fimaco aside – what we might describe as various inevitable contaminations, and “baggage”, will unavoidably burden anyone who has had a career in Jersey’s off-shore finance industry. Let’s face it, little of it is exactly – well – clean and pure, shall we say? As one mid-ranking off-shore accountant memorably said to me, “It’s a bit like Schrödinger’s cat being both alive and dead; all Jersey finance sector activity is like that; in a kind of super-symmetry whereby it’s all legal – and it’s all illegal (or capable of being viewed as such from some jurisdiction) – simultaneously – and it only collapses into one state – or the other – when someone opens the books and looks at it. Which state will the inspection find? That depends whose side you’re on. Woe betide any Jersey finance sector operative, no matter how careful – if they get on the wrong side of the Attorney General, his allies, minions, or the Financial Services Commission. Their power is the weapon against anyone being awkward – and also their means of financing their operation, and those who work for them, through the money they seize into the Criminal Offences Confiscation Fund”. The COCF is the modern day equivalent of the “prize money” – as the booty was termed – when seized by privateers from the merchant vessels of the enemies of the Crown. Nevertheless – and notwithstanding the hazardous seas he’s sailed over the years – Michael Birt has risen to the heady heights of “Bailiff” – holder of the most significant Letters Patent – that power being granted to him by Mrs Windsor – and even a knighthood – notwithstanding a range of serious malfeasant conducts he’s engaged in since becoming a Crown Officer – including prima facie examples of misconduct in a public office, and conspiracies to pervert justice that he should be prosecuted for. Not, we must imagine, a terribly likely occurrence though – given the sole prosecutor in Jersey is another holder of Mrs Windsor’s Letters Patent – and former partner at Ogier – and friend of Birt’s – current Attorney General Tim Le Cocq. 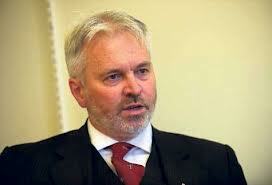 Advocate Tim Le Cocq – friend and business associate of Michael Birt and Julian Clyde-Smith – and currently Mrs Windsor’s Privateer as Attorney General. Well, I mean, who better to judge the obvious absence of any public interest ground for prosecuting his friend and business associate – other than someone with direct, relevant knowledge and experience? So you want to understand – truly understand just what Jersey is – what function it serves – and its importance to the British establishment? Imagine some blend of MI5 asset, pirate base, medieval feudal court, legislature-for-hire, bank, spying syndicate and asset-seizing privateering operation that pays tribute to the Crown after the local corsairs and buccaneers have taken their cut. Understand that – and then you’ll have a pretty good grasp of what Jersey and its oligarchy are, and just why their catalogue of startlingly plain malfeasances – and the overt structural ultra vires of the island’s prosecution and judicial systems – are not only tolerated, but actually protected by Mrs Windsor. Quiet obviously, once you begin thinking about “The Jersey Way” – and asking questions about the system – one of the first curiosities arising is – “does the Crown itself – and its very expensive administrative apparatus of The Royal Household – profit from this de facto modern-day privateering operation?” Does the British state – or any UK public authority function – benefit from funds or resourcing derived from Jersey’s off-shore finance industry? From, for example – the Criminal Offences Confiscation Fund? That source of money we might liken to a latter-day version of the “prize-money” seized under the “Letters of Mark” by corsairs of old? Well, if so, this would be very, very interesting. And of no small interest to various other governments, one would imagine. Perhaps even the UN, given certain international conventions? For this would mean that the actual British Crown – via the individual, un-accountable authority and power of the monarch – as expressed through her personal Letters Patent – and the resultant empowering of the Jersey prosecution and judicial functions via that obscure, pre-democratic legislation – would be, directly, seizing the moneys of foreign nationals and corporations – and directing it into the British Crown’s treasury – and letting its franchise-holders in Jersey – like the privateers and corsairs of old – cream-off a certain amount for themselves. And their purposes. The difference between such privateering – and, say, accepted customs & excise activity and judicial seizures that are regarded as legitimate by most states – is that those common activities take place in a framework of the objective and impartial administration of justice and of law enforcement – of a separation of powers – without the individual agents – or the directly, expressly empowering executive authority – having direct or personal – and thus compromising – financial interests in the enforcement activities themselves. Now – it would be rather problematic, would it not, if Mrs Windsor, her heir or other members of her family had personal pecuniary or beneficial interests in Jersey, its activities, or any such interests arising indirectly in the exercise of authority by the holders of her Letters Patent in the island? 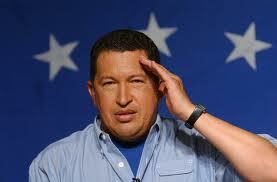 I mean, let’s imagine just what the international community would have said of the late Hugo Chavez – if it became known that actual police officers, prosecutors and judges appointed directly and personally by him – via a Presidential Letters Patent – were then engaging in activities of dubious probity – and in which Chavez or his family ultimately had a personal financial stake? Or – even if not benefiting himself – he had just appointed these people and then given them free-reign to enrich themselves by abusing their Offices? Why – the man would have been condemned at the UN as little more than some form of bandit. I mean – just imagine what the governments of the USA and of the UK would have had to say of Chavez – if he had appointed Attorney Generals – and then blithely allowed those Attorney Generals to abuse their powers against political activists who were trying to expose their previous failings and misfeasances? Mind you, as dodgy a fellow as Chavez may have been in the eyes of some, there’s no suggestion that he admitted serial child-abusers into his family’s inner-most circle, who were then able to get away with their crimes for decades – nor that he directly empowered senior Attorney Generals and judges who would then abuse their powers to oppress politicians who tried to fight for the rights of child-abuse victims and other vulnerable people. Unfortunately, the same cannot be said of Mrs Windsor. Does the monarch make fully informed, properly weighted decisions? Or – is she very badly let down by a frankly stagnant, contaminated and decadent “advisory structure” – peopled with the ignorant, the corrupt, and the stupid? Personally, I’m very prepared to believe it is the latter – certainly when I reflect upon the accretions of posturing inadequate clowns and avaricious, a-moral thugs that swarm to attach themselves to Royal authority and power in Jersey and in the City of London. But in this age, we don’t have to – nor, frankly, should we in the public good – leave such questions subject to arcane divinations. The monarch is a “public authority” when exercising certain powers and functions – not least, for example, passing legislation that needs not the consent of parliament, such as issuing Letters Patent; an exercise of discretionary power that then has the most serious and deep-reaching impacts upon her subjects – even to the point of whether they’re protected objectively from crime – or subjected to oppressions, judicial corruption and false-imprisonment. Such power – as exercised by Mrs Windsor – is subject to the rule of law – and can, and should, be examined for vires in its exercise and discharge. I – and many of my former constituents – have been, and continue to be, illegally failed, abused and oppressed by those carrying her Letters Patent and yet other vassals that they, in turn, have empowered. All of the questions of vires – of administrative law, common law and of human rights – in the appointing, oversight and accountability of Mrs Windsor’s Privateers – that dramatic exercise of public – yet feudal – power, is going to be challenged in the London courts. And the suspension of the Dean by the Church of England is but one of the yardsticks – the standards of modern good-governance – to which the Crown is going to be held. After centuries of liminal, constitutional obscurantism – and persistent naked criminality in the name of the conferred power – there will be transparency – accountability. This entry was posted in Uncategorized on 21/03/2013 .